All things Horse Racing. Including the bad beats and the sports chatter. We take a look at a Saturday’s card which features a couple of races for 2-year-olds. Many of these are pointing towards the Kindergarten Futurity Trials next month. Sunday’s card at Los Alamitos features the running of the James S Smith Stakes for 3-year-olds and a pick-6 carryover of over $16,000. We recap the El Primero and La Primera Derbies. KY Derby Preps around the country and even some Wrestlemania predictions. 3/31/19: El Primero Del Año Derby. Sunday’s program features the running of the El Primero Del Año Derby. We talk March Madness, office pool bracket, Vegas, recent state of horse racing in California and much more! We go over the entire Saturday card at Los Alamitos featuring the running of the Rossmoor Handicap at 870 yards. Track announcer Bobby Newman joins us to Handicap the entire Sunday card which features trials for the El Primero Del Año Derby and a $17,000 Pick-6 carryover. We take a look at the 8 races on Sunday’s program at Los Alamitos. Competitive Allowance to end the night. A look at Sunday’s card at Los Alamitos featuring the running of the Maiden Stakes and a $71,000 pick-6 carryover! Full card analysis of Saturday card at Los Alamitos featuring GI Winter Derby and a look ahead at Sunday’s GI Winter Championship. We check in with Scotty McKeever and Dave Weaver who are in Las Vegas for the NHC. Full analysis for Sunday’s card featuring trials for the Maiden Stakes. PCQHRA Awards Banquet recap and much more! Full analysis for Saturday’s card featuring trials for the Winter Derby and a look ahead at Sunday’s Winter Championship Trials. AQHA Awards recap. Conspiracy theories galore. Upcoming racing calendar and some breaking news. Sunday’s card features the Barbra B and a pick-6 carryover! 1/6/19: GI Charger Bar and much more! Full Sunday card analysis with picks for all 9 races at Los Alamitos featuring the GI Charger Bar. Recap GI Championship at Sunland. Kellie McDaid retires. NBA. Wrestling. And Curtis tries a new restaurant for the first time in his life! Analysis for entire Saturday card featuring GI Champion of Champions and a look ahead at Sunday’s GI Los Al Two Million Futurity. Rodeo in Vegas and much more! Recap $2 million trials night, bad beats, good scores, side bets and much more. Full analysis for Sunday’s card featuring the GI AQHA Distaff which is being run again after declared a no contest two weeks ago. Preview the big QH stakes from Zia Park. Recap AQHA Challenge Championships including the No Contest Distaff. Z Wayne Trials for Champion of Champions. GII Las Damas. Full preview of all 13 Trials for the Los Alamitos $2 Million Futurity. Lots of pizza side bets on the line with the consensus selections. Bank of America Challenge Championships night has arrived. Full card analysis for Saturday and a look at the two Z Wayne Griffin trials on Sunday which hold the last two sports for the GI Champion of Champions. Looking at Sunday’s card featuring the GI Los Alamitos Super Derby. The winner also earns a berth into the Champion of Champions. We talk about the legend of Town Policy getting kidnapped from CA and ending up in Mexico. Plus a story of the great Laffit Pincay and Charles Treece. Analysis for the Sunday card at Los Alamitos featuring the GI Golden State Million Futurity. There is some post production issues going on, hope to resolve them by next week. Apologies in advance. Full Saturday card analysis featuring John Ward Handicap and Sunday’s Los Al Wild West Futurity. Curtis is back licking his wounds from last week’s side bets. A terrific weekend of racing is among us with Trials for the Super Derby on Saturday and Golden State Million Trials on Sunday. Two guests join us (George Duarte and Mr Los Al) to handicap all the trials. A little side wager as well. Recap PCQHRA weekend including Wild West Trials and look at Sunday's card featuring a terrific field in the GI Los Al Championship. Analysis for Sunday's card featuring trials for the Wild West Futurity. Recap winners of the PCQHRA Breeders Derby and Futurity and much more! Professor G pays up, but the belt is still in his corner until Golden State Million Trials. We recap Jess Ravin's big win in the GI Mildred Vessels. Analysis and picks for every race on Saturday. Recap Jessies First Down win at Albuquerque. We recap PCQHRA finalists, Professor G beats Curtis in the consensus challenge, full Saturday analysis and a look ahead at Sunday's GI Mildred N Vessels Memorial Handicap which features a berth to GI Champion of Champions. Big night of trials for the PCQHRA Breeders Futurity featuring the return of the undefeated winner of the Ed Burke Million: Wave Her Down. Is there a conspiracy between Professor G and Curtis? We'll have to find out! Jeremy Balan stops by the Los Ponies studios to talk about his start in horse racing, Orioles, the recently concluded Del Mar season and much more! Plus picks for the EB Johnston Stakes and the Beverly J Lewis stakes during the day. Full card picks for the night program. Saturday program at Los Al featuring past Stakes runners in Allowance. Looking ahead towards GI Go Man Go. Recap Ruidoso picks, trials, news and much more! 8/18/18: John Deere & Golden State Derby at Los Al. Full card analysis for John Deere card Saturday at Los Al plus analysis for Sunday's GII Golden State Derby. Play of the day for Saturday and Sunday at Ruidoso for All American Trials. Recap John Deere Juvenile and Golden State Derby qualifiers as they advance to their respective finals. Analysis for Saturday's program featuring The Bank of America California Challenge led by the duo of BH Lisa's Boy and Hold Air Hostage. Answer a few questions from Twitter sent in by listeners and much more! We recap last week's big California Breeders Champions Night and look ahead at Saturday's card featuring trials to the John Deere regional trials. It could be a huge card if the pick six carries over again from Friday. Terrific 12-race card showcasing the California-bred runners. Heza Dasha Fire returns in the GI Spencer Childers, J Fire Up tries to keep the win streak going in the Derby and a wide open field will duel in the Futurity. Preview Saturday card from Los Alamitos which also happens to be Wiener Nationals night. Picks for Rainbow Futurity and Derby at Ruidoso. Recap Governor's Cup Futurity and Derby finalists. Update on Cesar De Alba, Vinnie Bednar is bak and Ramon Sanchez is back. Good start at Del Mar and much more! Caleb Keller joins Jose and Curtis to talk Saturday’s Governor’s Cup Futurity Trials, how he got started at TVG, his Indiana roots, the Indiana buzzer beater vs Kentucky and much more! Terrific field heads the GI Vessels Maturity at Los Alamitos. The winner also earns a berth to the GI Champion of Champions. Curtis checks in from Colorado. Lebron is a Laker and much more! Podcast is now available on Google Podcasts and Spotify in addition of iTunes. Analysis for Sunday's program featuring The Vandy's Flash Handicap. Will A Political Lady make it six in a row? Curtis going off the grid. Jose lived the farm life for a couple of years. and much more! Terrific field of finalists face off in the first million-dollar Futurity of the season in the Ed Burke. We analyze all 9 races on Sunday's program. Daytime Thoroughbred season at Los Al is approaching and the pick-4 minimum will now be $1... Kawhi wants out of San Antonio...World Cup is underway and Argentina is in trouble..
We recap last Sunday’s trials for the Ed Burke Million Futurity. Analysis and picks for every race on Saturday’s program. Also preview Sunday’s Vessels Maturity Trials for older runners and much more! We have a chat with Ed Burgart talking about his career, his passion for Quarter Horse racing, his future and much much more. Analysis of Ed Burke Million Trials at Los Alamitos Race Course. Wrap up a crazy NBA Finals Game 1, Analyze the full card at Los Alamitos and the mega card closing night at Remington Park with picks for the Derby, Futurity and Invitational plus much more! We take a look at Saturday's program at Los Alamitos. 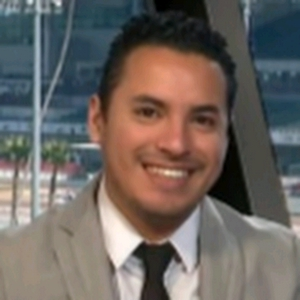 Jose is trying to get his fourth consecutive Los Ponies Lock home. Two spot plays for Day 2 of Ruidoso Futurity Trials Saturday morning. NBA Playoffs drama and much more. 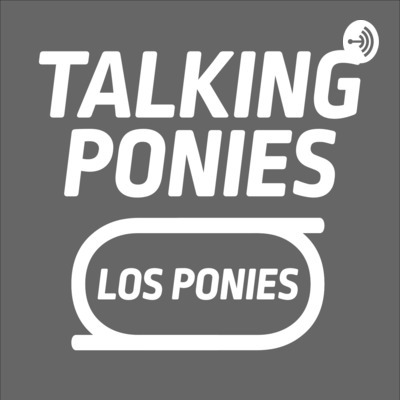 **We apologize in advance for the audio static issues at times****Bad Audio from 19:45 to 22:00 so press the skip button** We talk Sunday's card featuring Kindergarten Futurity. Post-Preakness talk with a few thoughts from Ed Burgart (37:40 to 42:25). NBA Playoffs and off season predictions (42:25 to 52:30). Universal Studios Hollywood (52:30). 5/12/18: La Pacifica Hcp & More! La Pacifica Handicap highlights Saturday's card at Los Alamitos. Jose gives a big push to the debuting Providnikov. Curtis finally hears back from his trainer about his 2yo. Recap Kindergarten Futurity Trials. Picks of the night for day 2 of Remington Park Heritage Place Futurity Trials. Recap of Consensus picks challenge of Professor G vs Hitman. Robert Adair Kindergarten Futurity Trials are here! Top 10 fastest qualifiers advance to the final. Professor G is the current title belt holder in consensus picks. Curtis addresses the "tip" he got from Dad for last week's horse. Jose & Curtis engage in some hot dog connoisseur chat. Jason retires from the press box (for now). Kentucky Derby picks and much more! Saturday program at Los Alamitos featuring the return of Branquino. The Marfa Lights, half-brother to the late Moonist, is on the grounds at Los Al. Owning/nominating 2yo's. NBA Playoffs talk and much more! Saturday card with 9 races. $5,577 Pick-6 carryover. Fast working 2-year-olds in Race 5. NBA Playoffs in full swing. You can only pick two of these four who would you take: Kawhi Leonard, Lebron James, Paul George, Klay Thompson. Curtis went to Disney World. Jose is addicted to Churros. Jose believes in Aliens. Curtis might have seen a UFO. Is the Queen Mary in Long Beach haunted? Jose and Curtis take a look at the 9-race program at Los Alamitos on Saturday. Is there a future superstar in the making in Wicked Affair who debuts in Race 6? Terrific match up of Quarter Horses vs Thoroughbred in the 870-yard Wheatland Handicap. The Shohei Ohtani show continues in Anaheim and much more. Jose Contreras @LosPonies and Curtis Treece @Hitmanct13 go over the Sat April 7 program at Los Alamitos. The first 2yo baby race of the season. Follow Quarter Horse racing as kids at Los Al. Keeping tabs on other circuits like Remington, Sam Houston, Ruidoso. Undefeated KVN Corona going to Ruidoso. How 1985 was a good year. Dodgers off to a slow start. Angels sensation Shohei Ohtani. Curtis getting "inside info" from his Dad about his horses. WWE WCW Wrestling and much more!